The addition of standalone SQL databases requires a staging SQL server to be configured upfront. 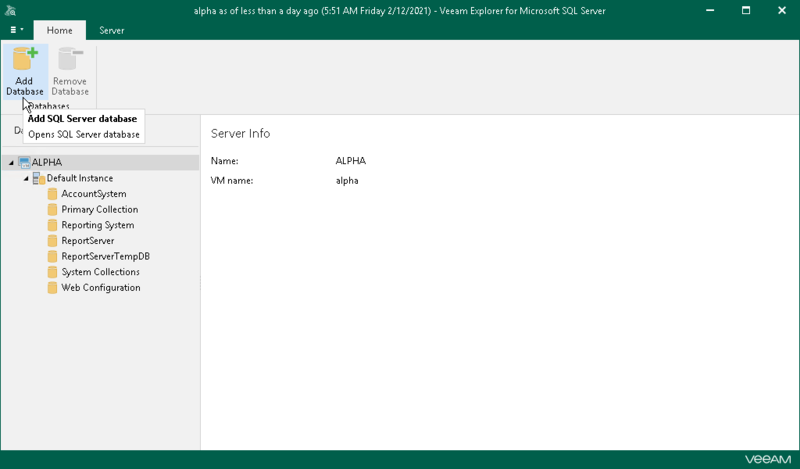 For more information, see Configuring Staging SQL Server. On the Home tab, click Add Database. 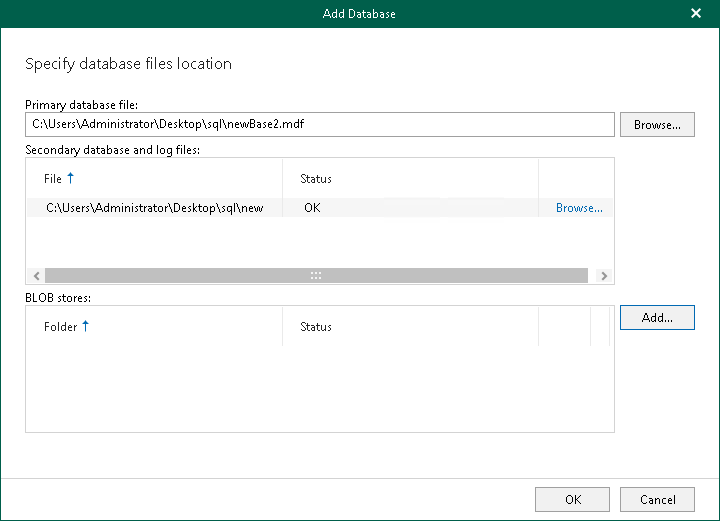 Specify the location of a primary database file, a secondary database file and associated log files. If necessary, specify the BLOB store location. Manually added databases will be displayed in the navigation pane under the Other SQL Server Databases node.